Want to grow social media followers? When it comes to social media, everyone wants more followers. From huge corporates to small start-ups. Marketers and businesses owners are obsessed with the numbers on social media, with follower count in particular. But what I’ve learned from over 8 years of using social media is that follower count doesn’t necessarily matter. What matters is what your follower means, in theory. And while some marketers understand that, the majority of people think that their success is solely dependent on the follower count they have. Social media followers can be beneficial, but at the same time, you can generate tremendous marketing results with a low follower count. In this post, I am discussing the very mythical topic of social media followers, give you the answer to if social media follower count matters or not, and give you the reason why your obsession over follower count is crippling you. Buckle up, because I promise you, this is going to be interesting. There are so many misconceptions about follower count on social media. And if you ask businesses and marketers about their goals with social media, almost all of them will mention growing followers as one of them. In fact, having social media followers can be tremendously valuable. The reason why the focus on growing follower count is crippling many businesses is that it takes away the focus on all the other recipes for succeeding on social media. Social media success is kind of like baking a cake. Have you tried baking a cake with just one ingredient? Well not me either, because I am terrible baking, but that’s a different story. We both realize that the result will be terrible – whether because of lack of skill or too few ingredients. Too many brands put all their focus on growing their follower count as they hop on social media, and something I hear brands say is ”we need to have more followers than our competitor”. Obviously, I am not stupid, I realize why, but have you asked yourself why you want more followers than your competitor? Because it looks visually appealing? Sure, if that is your ”why”, I am not blaming you. Because the truth is, your followers can be tremendously valuable for your brand. But they can also harm your brand. The culture of social media puts too much emphasis on what’s easy and understandable, such as follower counts and likes, but get terrified when it comes to analyzing the quality of followers, and getting a better understanding of how valuable the followers really are. Now, I am not saying follower count doesn’t matter, but far too many that solely focus on growing followers take the quick and easy route. Few think about the things like engagement, influence, and impact, even though these are the things that matter most when you grow followers on social media. Or, more correctly, the things that matter most when it comes to social media followers and want to drive results that makes social media worthwhile. The notion that you need to grow social media followers and you need to grow them quickly is hurting brands. Because it is leading to people taking desperate measures. Which…. Unfortunately often includes the purchase of fake followers. I am staggered by the number of people who don’t realize what fake followers mean. I am staggered by the people who are buying fake followers, and what it will mean for them, beyond the number in their profile. Unfortunately, a lot of brands, relatively speaking, of course, takes the journey of buying fake followers. Hopefully, you already know the reasons why fake social media followers are a bad idea, but before I go into that, I am going to tell you about when follower count really matters. And when follower count benefits you. On the surface, all your social media followers look the same, right? They’re all just a drop in the ocean in your profile. But the truth is, there’s a huge difference. And the problem with this is that if all you see as you’re growing your followers is that you’re getting +1, +1, +1, meaning you only see your follower count in terms of numbers, and not what it actually means, that’s when you need to evaluate how you view followers, and why you want them. Anyone can grow followers, but very few can grow an audience and have an impact. I mean, if you want to buy followers, you can do it right on the spot. But what you cannot get on the spot is influence. 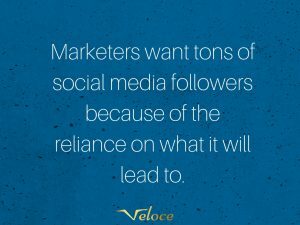 Marketers want tons of social media followers because of the reliance on what it will lead to. Having lots of followers is so glamorized in today’s social media landscape. 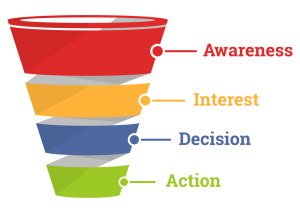 It’s put on a pedestal as the ultimate end goal of social media marketing, whereas the real truth is completely different. The truth is that social media followers can be incredibly valuable for brands. But only if they’re acquired in the right way, and relationships are built with them. Ultimately, your goal of growing social media followers isn’t just to have your followers sit there, right? Your goal with growing followers on social media is that you think that having them will increase your sales, conversions, etc. If done in the right way. Follower count means that you are reaching more people with your social media posts. When you share a post on social media and reach your followers with it, you have their attention. When you run an ad on television, you have people’s audience’s attention. In theory, the attention you have on social media is no different than the attention you get from other types of marketing sources, yet still, people seem to believe that the attention they get from their audience through social media is so much different and so much different than the attention they’re getting from other sources. And the truth is, yes, it can be. With smart social media strategies and targeting, you can attract highly relevant followers that actually care about your brand, rather than get the attention of someone through TV advertisement who couldn’t care less about your business. But this is all dependent on the type of followers you acquire. Not that you acquire followers. But I’d love to hear your take on this, too! What is the reason that people want tons of followers? Is it the fact that the follower count, on the surface, makes you look popular? Or is it because you want to build a loyal and engaged audience of people who genuinely care about your industry and business? I already know the answer, but what do you think? When do you think social media follower count matters, if you look at the two? Now, being a person that has grown over one million followers across a number of social media accounts, you’d believe that I am a firm believer in growing a large follower count on social media. But the truth is, your follower count on social media only matters when it is relevant, engaged, and interested. Because let’s say a business whose CEO has no idea what social media is, yet agrees on the fact that the business is going to be there. What metrics do you think they’ll be interested in? They won’t care about follower count one single bit, but the truth is, if you can build an engaged and relevant following, those followers will help you achieve your goal, and that is the real reason why social media followers matter! Moreover, you need to understand the context of the social media platforms you’re using. Because there are almost more than 2.5 billion people on social media. This means that a lot of content is being put out. This ultimately also means that the social media landscape is getting saturated. And what happens now is that the different social platforms are tightening up their algorithms that decide what you see in your feed. For instance, Instagram is the social media platform that is considered to have the best highest engagement rate. It is the platform with the highest penetration, compared to your follower count. But at the same time, a platform like Facebook has an engagement rate that is at an all-time low, with only a tiiiiiiy portion of your followers seeing the posts that you share. In fact, Facebook has a promotion button where you can promote your posts to the people who already like your page. If you have to pay Facebook to show your post to a person that has already started to follow you, then what is the reason to have followers? The only reason I can think of is that it ”looks good”. The relevance of your followers trumps everything. The reason you want followers is so that you can impact them into ultimately buying from you. But the truth is that you’ll only be able to do this if your followers are genuinely interested in your brand and niche. When your followers are relevant, you want to have as many followers as you can. Because relevant followers are the people who will actually be likely to convert and are likely to be interested in your brand and the content you share. If your goal is to grow relevant followers, then go ahead! Because they’ll be greatly valuable to your brand. But if your goal is to just grow your followers without caring about the type of followers you acquire, you’re missing the point. 20.000 followers and one person buy from you, or 1000 engaged followers where 20 people buy from you. Whether the people who follow you actually see your content, or if they’re just sitting there, you need to focus on how many people you impact, and how much value you bring your audience. Not how many people who see your content. Because there’s a great difference between seeing and carefully consuming. If you’re seeing, you’re seeing, and then forget about it after a few minutes. If you’re consuming, you get impacted by the content you consume – potentially to the point where you are convinced to buy from the brand. Whether your followers see or consume your content depends on engagement. How engaged is your audience in your content? If you’ve bought fake followers, they aren’t. If you’ve invested lots of time and effort into acquiring relevant followers, chances are, they are quite relevant. In order to get an engaged following, you need to engage and interact. It’s not like the traditional sales funnel where you just abandon your customers once they buy, or in this case, when they start following. In fact, when a person clicks ”follow”, that’s when the journey starts. Because that’s when you’re going to engage with them to the point where they become super loyal and engaged in your brand – thus making them the type of followers that all brands are dreaming of having – sometimes without knowing it. If your audience is engaged, they will carefully consume your content, but if they’re not, they won’t. And remember, it is with your content that you’re going to impact your audience into ultimately doing something. Above all, your goal should be to cultivate a loyal audience of engaged followers. But in order to do this, you need to focus on two steps. First, you need to have acquired the right type of followers – relevant followers. Because it doesn’t matter how much you nag on someone, if they like tennis, or they don’t like football, they won’t like it more just because you post hundreds of posts about football. The second step is about developing strong relationships with your audience and engaging with them on a regular basis. How do you build strong relationships with humans in real life? You interact with them, of course. Remember, just because it takes place on social media doesn’t mean we humans work in a different way. Respond to your comments, encourage debate, give your point of view, and ask for theirs. Social media is a tremendous place for brands to engage and build relationships with their target audience, and that’s what your focus should be on. Not to increase your follower count, but to increase the number of deep relationships with you have with relevant people. Related: How to engage your audience on social media and improve your relationships. With all of that in mind, do you think buying fake followers will lead to social media success? The business culture on social media has led to us believe that unless we have tons of followers, we won’t succeed. So what we do is we purchase a ton of followers to impress all our competitors and establish ourselves as authorities in our industry. Without realizing how it is actually hurting us rather than helping us. It’s quite extraordinary, but at the same time, very, very sad. The culture of the importance of social media followers is almost like the culture of display ads in large corporates. Everyone knows they are highly ineffective and grossly overpriced, yet still, the social media culture accepts it, and makes the brand throw a large part of its marketing budget in the trash – while smaller brands learn how to make the most of their money by targeting and using marketing arbitrages. The only difference with social media followers is that they can be immensely valuable for brands. The only thing you need to realize is that there’s an enormous difference between followers and followers. People often talk about buying ”real” followers versus ”fake” followers. there’s no such thing as real followers. And even if they would be real in a sense that they’re not operated by bots, but by humans (which they’re not), they wouldn’t benefit you in any way. Because when you buy followers, whether it be on Facebook, Twitter, Instagram, or some other platform, what will happen? You’ll get a bunch of people starting following you, but what type of followers is it that you get when you buy followers? Accounts that have zero interest in your brand or the content you share. It leads to you dramatically increasing your follower count, but having your engagement rate stuck at whatever level it was before. The fact that it allows you to build an audience of engaged followers who deeply care about your brand and industry, leading to them engaging with you on a regular basis, leading to improved relationships, which can convert into conversions for your brand. That’s the real benefit of having followers. The only problem is that those are not the type of followers you get by buying followers on social media – or acquire social media followers in any other shady way. It is time that we re-evaluate the way we look at social media followers. It’s not that social media followers are pointless, but it is like a lot of people believe that having lots of followers is something godly, and when you’ve “made it”. And the result of this is that people have forgotten the whole reason why it is actually good to have followers, and how you should focus on acquiring the right followers.